On this page you will find all the information you need to know about the Ever After camping experience. Please ensure to read all the info before checking in. Please arrive only during the check-in hours below. Note that the line may take up to an hour, and closing times are strict. If you arrive late, we will not be able to admit you into the campgrounds until check-in opens the following day. Check-out hours: All campers must be fully packed and vacating the campgrounds by 12pm on Monday. Campers are expected to be courteous to one another, as well as to event staff. The campgrounds are shared space, and these are your neighbors for the next three days! Please do your part in making this an incredible weekend for everyone. 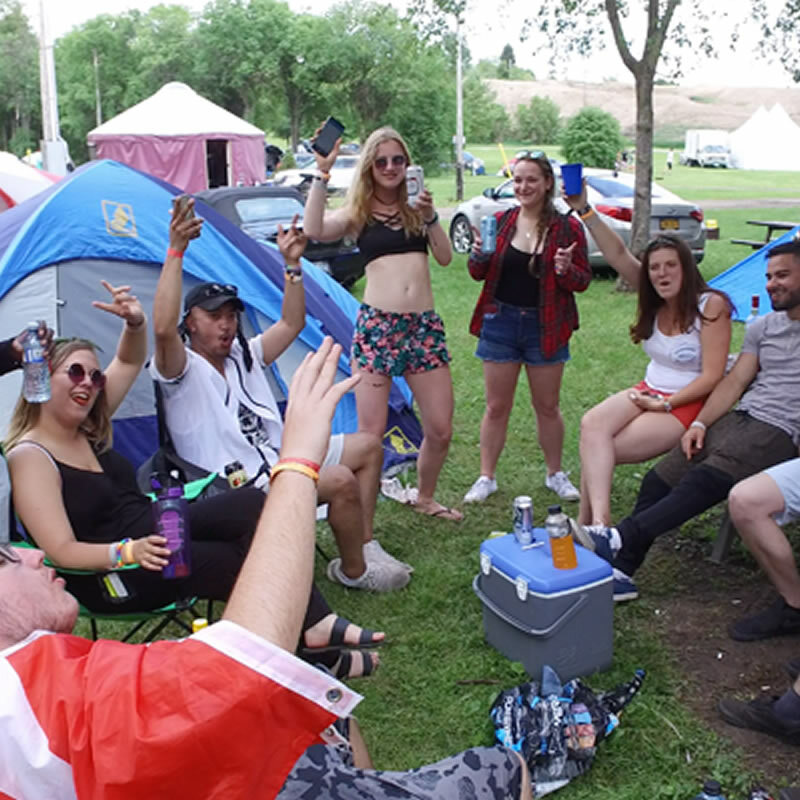 If a guest participating in any of the following behavior is uncooperative or a persistent offender, ALL members of the camping party will be removed from the camping area and will have their festival access passes deactivated.. In certain situations, the offender may be arrested. In-and-out privileges to the festival event area are restricted to On-Site Campers ONLY. Only firewood from Bingemans may be permitted for campfire use. All campers must be packed and vacated from the campground by 12pm on Monday, June 10. Quiet time will be enforced from 11pm–8am each night. Please respect your fellow campers! Camping lots open Thursday, June 6 at 12pm. Please DO NOT show up earlier, as staff will not be prepared to admit you into the campground.